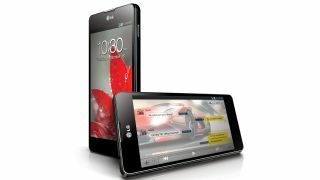 LG has announced its launch plans for it new quad-core powered LG Optimus G smartphone and more details on its new flagship. The new handset, which was announced last month, features a quad-core chip from its pals over at Qualcomm, with the Krait S4 Pro chip making an appearance, along with LTE connection speeds. LG has also lobbed in a number of new user experience features, such as being able to play video while browsing the web (wait a minute…) personalise your icons through pics and size alterations and Time Catch Shot to give you an even better chance of finding the best photo. There's a 4.7-inch WXGA True HD IPS Plus display on there too, offering up 1280 x 768 pixels (although eschewing traditional widescreen formats for a 15:9 option). It's also, disappointingly, only going to launch running Android Ice Cream Sandwich, with no word on when Jelly Bean will be offered. However, given LG's relatively slow progress in updating Android versions, this isn't too much of a surprise. Enough with the negative stuff though, as the LG Optimus G is chock-full of next-gen tech. It's got 2GB of RAM, which, combined with the S4 chip, will allow even greater efficiency when multi-tasking, according to LG. This is backed up by a 13MP camera (although this will drop to 8MP in some markets when launched), and a 1.3MP snapper on the front for video chatting and pouty self-portraits. LG is also proud of its battery technology, developed by LG Chem for a prolonged lifetime of use – hopefully meaning you won't have to fork out for an improved power pack during your contract. Continuing the collaborative theme, both LG Innotek and LG Display have contributed to the Zerogap Touch and True HD IPS Plus display, which the company claims will have: "the slimmest, sharpest and clearest viewing experience yet". This is all packed into a handset that's just 8.45mm thin… sure, that's nearly a millimetre thicker than the iPhone 5, but at this level we can't seen anyone really caring. The final piece of the puzzle has yet to be revealed though: when we can expect to see it. LG tells us it's going to launch in LTE markets first, meaning the likes of Japan, South Korea and the US are listed. Europe is on the cards too, so the UK might get something superfast for the new EE network or possibly a watered-down 3G version… we're pushing LG hard to get us something resembling an answer.